With everything that's been going on with Facebook, from their IPO, to the proposed expansion of their headquarters, the company needs to explore avenues in which it can make money. 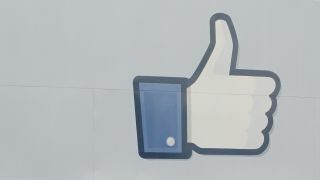 According to an article by the Wall Street Journal, Facebook is looking at the under 13 audience base. Currently, kids under the age of 13 are banned from creating an account on the social media site. This is a common practice on a lot of site, especially social media, as there are too many federal restrictions that are in place. The easy fix is to restrict anyone under the age limit from having access. However, this does not deter people from lying about their ages and creating an account. There are about 7.5 million under aged users on Facebook at present, according to Consumer Reports. According to CBS News, some parents are guilty of helping create these falsified profiles for their kids. Basically just adding to the problem. At present, Facebook is conducting experiments and testings to see what the best-suited solution would be, should they decide to go after this market. As of right now, there are no real safeguards in place for under aged users that have falsified accounts. Maybe a well-regulated and monitored version of the social media site that ties the account to the parents' accounts would help where parental controls could be in place, would be a solution.